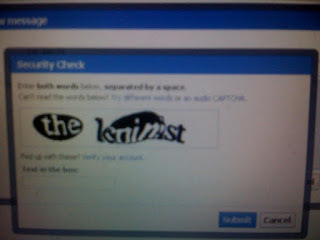 Communism has a bad name. Its either authoritarian or a crazy utopia which can never work. Jonathon Shafi discusses whether communism is an impossible dream or a model of cooperation. I recently published a series of posts restating the case for revolutionary organisation. The article below is a slightly edited version of those posts, merged into a single text (with some video of Tony Cliff - speaking on Lenin and the revolutionary party - as an extra). It's nearly 4000 words, so I recommend you make yourself a cuppa and find a comfy seat before starting. This article aims to answer two questions. First, why build a revolutionary socialist organisation? Second, what is required to build such an organisation? There are many left-wing and radical activists who take a dim view of ‘Leninism’. This is often influenced by caricatured versions of what Lenin thought, wrote and did in relation to political organisation, or by negative experiences of groups which claim to be in the Leninist tradition. I want to clarify the Leninist tradition's relevance to the current challenges of strategy and organisation. The specific focus is therefore the need for an organisation of revolutionary socialists. This is at the heart of debates about how socialists fight to change the world. There are contradictions at the heart of how the system works. Although a system of competition, capitalism depends upon people co-operating with each other to do the work necessary for it to function. Capitalism expands and transcends boundaries, yet nation states remain important for the ruling class. We live in an increasingly interconnected world, yet divisions of nationalism, racism and so on remain. Karl Marx insisted that the emancipation of the working class must be the act of the working class. Fundamental social change - moving from capitalist barbarism to a free socialist society - cannot be delivered from above. Working people must free themselves. There's a contradiction, though, between our material interests and the fact that - most of the time, in most places - we seem to be a long way from socialist revolution. There is a contradiction between Marx's self-emancipation of the working class and another of Marx's observations - that the ruling ideas in any age are the ideas of the ruling class. There exists a mix of different ideas and worldviews inside the working class. It's also true that an individual can have a set of complex, contradictory set of ideas inside their head. They may (for example) be implacably opposed to public sector cuts but support the maintenance of the royal family, despite the monarchy being an institution that legitimises class privilege and inequality. Reformism is, in normal circumstances, dominant inside the working class movement. This finds organised expression in the Labour Party, which is a reaction to the unambiguously ruling class politics of the Tories but also reflects the uneven consciousness of the working class. Some things are rejected; others are accepted. The Labour Party seeks to unite a broad spectrum of opinion within a single organisation. It also aims to reconcile opposition to many aspects of capitalism with that very system. 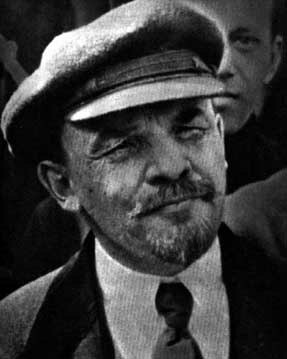 Lenin called Labour a "capitalist workers' party" because it appeals to workers and largely reflects their ideas, but is nonetheless dedicated to managing capitalism and working within its constraints. Revolutionary organisations take a different approach. A revolutionary organisation seeks to bind together those in a small (often tiny) minority who consistently reject capitalist ideas and have a revolutionary socialist outlook. This organised revolutionary minority is characterised by clarity and agreement on political ideas, by consistency in rejecting the contradictory positions generally held by reformist parties. This does not, however, mean rejecting the vast majority of working class people who look to the reformist organisations as an alternative to the ruling class and its political representatives. Revolutionaries relate to broader layers and work together in joint political and campaigning activity, in trade union struggles, and so on. Revolutionaries fight for reforms alongside those influenced by reformist ideas. Those who characterise revolutionary groups as elitist or sectarian miss this vital element in what it means to be a revolutionary: not separating yourself off, to retain 'purity' of revolutionary commitment, but rather getting stuck into the struggle, being in the thick of it. Revolutionary organisations can decay when they weaken their politics and make compromises with dominant ideas. But they can also decay when they retreat into inglorious sectarian isolation, standing aloof from the partial but important resistance to the system involving non-revolutionaries. Revolutionary organisations can seem marginal most of the time, but in a revolutionary situation - and, as 2011 is demonstrating, these do happen - they can become critically important. An organisation built in advance, with roots in the wider working class, can play a decisive role when there is mass resistance and confrontations with the old order. Stale dogma is no guide to action. Marxist theory guiding concrete analysis is, however, invaluable in plotting next steps, in answering the "what is to be done" question. Constant interaction between theory and practice is essential. Anything which increases working class combativity is important. Anything which wins even small reforms, especially if it is through workers' own activity, is a boost. Victories, however minor, provide hope and act as a spur to further action. But what can loosely be termed a vanguard is inevitable in capitalist society. If there is uneven consciousness, with the vast majority of working class people (in non-revolutionary times) partially accepting dominant ideas, a small minority which rejects capitalist ideas becomes an ideological vanguard. Lukacs stressed the combination of principle and flexibility, the latter being essential because the tempo and shape of struggle inevitably change. Revolutionaries' strategies, tactics and forms of organisation must inevitably change alongside changes in the course of resistance. He put it strongly: 'all dogmatism in theory and all sclerosis in organisation are disastrous for the party.' Strategy, tactics and organisation must be changeable. The principles of democratic centralism are simple. An organisation needs democratic structures such as an elected leadership, annual delegate conferences and regular opportunities for thorough discussion of policies, tactics and so on. Leadership at every level must be accountable to the broader membership. Furthermore, what is agreed through democratic decision-making should then be implemented in practice. There should be an internal culture of free and open discussion, in which criticism and disagreement are respected. All voices are heard and valued. Most of this is widely accepted - not just in revolutionary organisations - as important for a group to function democratically. Similarly, 'centralism' is far from being exclusively the preserve of the revolutionary socialist tradition. It means that an organisation needs to co-ordinate and prioritise its resources (time, money etc), which requires centralised mechanisms. If decisions which have been made democratically and collectively are to be implemented there has to some centralism. For example, a trade union has democratic structures but in order to implement decisions it is necessary to appoint full-time officers, hire office space, produce resources which can then be distributed widely, and so on. These things can be regarded as 'centralism'. What is the alternative? If we take the issue of resources, the alternative is that each branch has to produce materials themselves, which is wasteful and leads to huge duplicating of effort. It makes sense to pool our resources - the time and skills we can offer - to be as effective as possible. Take a revolutionary organisation like Counterfire, the hub of which is our website. Our elected editorial board (EB) oversees the website and all other national organisational matters. A number of us are specifically responsible for running the site. We are accountable to the wider EB and in turn the organisation's membership. We have regular all-members meetings, so if people are unhappy with aspects of the website or want to make changes they will soon let us know! The website - like all other aspects of our work at national level - is therefore an example of democratic centralism in action. In Lenin's time, selling socialist newspapers provided the infrastructure for building the Bolshevik Party - paper sellers created networks of activists and supporters, in factories and communities, through sales of their newspapers. It was a very dynamic kind of democratic centralism. But there are three further points worth making to understand what we mean by democratic centralism in the revolutionary tradition, as distinct from reformist parties, unions and broad-based campaigns. Firstly, a revolutionary group lays huge stress on self-activity. In the Labour Party, and even more so in trade unions, the great majority of members are inactive or have a very low level of activity. In Labour it's a thin layer of activists who do almost everything, but in most revolutionary organisations a higher proportion of members will be active - and many of them will devote a great deal of their spare time to politics. Local branches will be run by dedicated lay activists, with most members actively involved in some way. Routine discussion and democratic decision-making are essential for such an activist organisation to function effectively. This is as true at local level as it is at national level. The initiative and dynamism of grassroots members is the driving force. Local members should not 'wait for instructions', but take a lead in their own locality, based on their local knowledge and expertise. This doesn't guarantee a democratic culture, but it certainly helps. A second issue to consider is the relationship between local and national levels, which is different in the revolutionary and reformist traditions. In the Labour Party, leadership bodies will tend to have an ambivalent attitude to local initiative and democracy: they want activists to operate as a stage army for election canvassing and leafleting, but that's about it. Labour leaders want to manage the system, not overthrow it, and operate within narrow parliamentary constraints. They are politically to the right of many Labour members and are preoccupied with the 'centre ground' of politics. This political tension between leading members and grassroots members does not exist inside a revolutionary organisation. On the contrary: national leadership bodies will want maximum democratic participation from the full membership. The structural reasons for why Labour and trade union leaders are vulnerable to compromise aren't present in a revolutionary group. For example, union leaders typically earn far more than their members (which can distance them from members' experiences), but that won't be the case in a revolutionary organisation. Labour MPs are professional politicians, but in a revolutionary organisation it's likely that lay members, i.e. those with normal jobs (or students, unemployed etc), will have leading roles far more than in a reformist party. Thirdly, it is necessary to consider the specific nature and tasks of a revolutionary organisation, as distinct from a broad-based party or campaign. A group like Counterfire has a high level of political agreement: there won't be total agreement on all issues among all members, but there's still a large degree of political homogeneity. The Labour Party, trade unions and campaigns like Stop the War and Coalition of Resistance are rather different. While they may have agreed national policies, they are far more politically heterogeneous. A consequence is that they are likely to adopt looser structures. Take the Green Party, which is a fairly broad church. It allows a fair amount of local autonomy, with local branches given more scope than you will find in most socialist organisations. This is a consequence of being a different kind of organisation. Counterfire, for example, has distinctive politics and stands in a particular left-wing tradition. For it to be politically effective, local groups need to carry positions which have been agreed via the national organisation's democratic structures. It would be politically weaker if local groups could simply make up their own positions on issues. There's an important degree of centralism involved here, though it is centralism rooted in a highly democratic culture. Let's return to the starting point in this section: the necessity of democracy. Lenin referred to the combination of 'freedom to criticise and unity of action'. Freedom of criticism is essential. No member should feel inhibited from expressing their views in meetings, conferences and discussions. Open, tolerant discussion and debate are the lifeblood of an organisation. There may be instances of public criticism being inappropriate - if this undermines the organisation's 'unity in action' - but limiting that on occasions doesn't inhibit an organisation's internal democratic culture. The bottom line is that a revolutionary socialist organisation must be effective in action, which requires some version of the kind of democratic centralism I have outlined here. A revolutionary organisation combines principle and flexibility. The politics remains consistent over time: marxist ideas, at the core of which is the self-emancipation of the working class, provide continuity and root practical activity in a general political understanding of the world. Tactics are informed by changing political circumstances, however, as well as unchanging principles. Recall how Lenin insisted on a concrete analysis of a concrete situation - not the unthinking repetition of dogma. This concrete analysis in turn shapes choices of strategy and tactics at any given historical moment. Specific tactics are formulated in that larger context: a political analysis of the whole of society, historical and international experience, and a strategic understanding of how to transform society. Some critics of the Leninist tradition accuse revolutionary organisations of 'opportunism' because of this tactical flexibility, when in fact consistent political principle anchors tactical twists and turns in a larger political project. The same critics claim Leninism is fundamentalist dogma, so it's perhaps worth taking their words with a pinch of salt. A number of practical points follow this understanding. It becomes obvious that at any given time there must be a clear grasp of priorities. Resources must be allocated according to an organisation's democratically agreed priorities, which evolve over time (and sometimes alter dramatically). Priorities are influenced by analysis of the balance of forces in the struggle between classes: where there are weak points in their side, where breakthroughs are possible, where we are strongest and can be most effective. Small acts have to be seen as interconnected with much bigger struggles. Occasionally there are events of great significance for revolutionaries, underpinning their political priorities over a fairly long term period. The terrorist atrocities of 11 September 2001, and the response of US imperialism, triggered a sharp re-orientation by many revolutionary socialists. Anti-imperialism became politically central and the priority was to build a broad, active anti-war movement. This rested upon prior analysis of imperialism in the modern world, but in practice a major shift in prioritising was needed. Around September 2008, with the financial crash, the challenge of organising a response to the crisis of neoliberalism became especially crucial. Neoliberalism and US imperialism were, and are, both in crisis. September 2001 and September 2008 - the commencement of the 'war on terror' and a new economic crisis - are the defining events of this political period. We can add important factors like the restructuring of the working class, the rise of Islamophobia and so on to this picture. Since May 2010 the neoliberal crisis has found more concrete forms in British politics too: a programme of mass austerity imposed by a Tory-led government. In 2011 a further development has become vital for socialists everywhere: the Arab Spring, and its impact on imperialism and the dynamics of global politics. These contexts shape what we as revolutionaries do and, often in tiny ways, how we prioritise out tasks. This all means it is necessary to, in Lenin's phrase, 'bend the stick' towards a particular priority at any given moment. It's not the case that all issues and tasks are equal. For a socialist organisation to be effective, there must be prioritising - which means 'bending the stick' to a course of action that can bring decisive breakthroughs. This explains why not only political priorities but methods of organising can change, sometimes sharply change, at different times in a revolutionary organisation's development. What works at one stage may later become an obstacle to progress. Lenin's ideas, not to mention his record in leading the Bolshevik Party, thus remain invaluable guides for building a living, breathing and fighting organisation of socialists today. This blog is named after Anatoly Lunacharsky, who ran the education ministry in Russia's revolutionary government after 1917. At our recent May Day event in Newcastle I bought his book 'Revolutionary Silhouettes' from a left-wing bookstall. I've previously read some of it online, but having the book is much better. 'In his private life, too, Lenin loves the sort of fun which is unassuming, direct, simple and rumbustious. His favourites are children and cats; sometimes he can play with them for hours on end. Lenin also brings the same wholesome, life-enhancing quality to his work. I cannot say from personal experience that Lenin is hard-working; as it happens I have never seen him immersed in a book or bent over his desk. He writes his articles without the least effort and in a single draft free of all mistakes or revisions. He can do this at any moment of the day, usually in the morning after getting up, but he can do it equally well in the evening when he has returned from an exhausting day, or at any other time. Sheila Rowbotham has a disappointingly poor article on Rosa Luxemburg in today's Guardian. Damning with faint praise, she displays surprisingly little grasp of Luxemburg's ideas, lapsing into misunderstanding and tittle tattle. 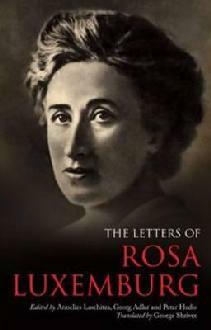 The piece is prompted by the publication of 'The Letters of Rosa Luxemburg' (newly translated by George Shriver), which Rowbotham uses to wrongly portray the Polish-German revolutionary, active in Marxist politics from the late 1880s until her assassination in 1919, as anti-Leninist. Luxemburg was a leading figure in Germany's radical left for two decades, at a time when the country was undoubtedly the centre and dominant player in the European left and workers' movement. 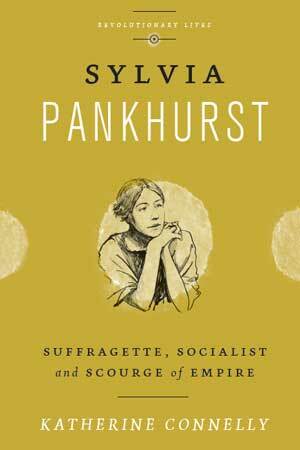 She wrote widely, including 'Reform or Revolution' (1900) and 'The mass strike' (1906), both important contributions to the Marxist tradition of socialism from below. They analysed the rise of reformist currents and mass trade unions, assessing the significance of these developments for the struggle for socialism. Confused? Many readers won't have the stamina to get that far into the article, so their overriding impression will be formed by the earlier reference to Luxemburg as a bravely libertarian beacon of anti-Leninism. There were differences between Lenin and Luxemburg, which were ultimately secondary to the big questions on which they agreed. But to juxtapose them as Rowbotham does is profoundly dishonest. The two great revolutionaries shared an understanding that spontaneity alone is insufficient for advancing working class struggle, even (or especially) at times of dramatic revolutionary upheaval. Organisation is key. Let's not forget that Luxemburg belonged to socialist parties throughout her life. Lenin, though, had a sharper grasp than Luxemburg of the need for independent revolutionary organisation. In this he was vindicated by the Bolsheviks' role in 1917's Russian Revolution. A revolutionary organisation built in advance of the revolutionary upheaval - rooted in broader working class resistance and organisation - was indispensable to leading the revolutionary events of autumn 1917. Germany, which had a revolutionary situation the following year, suffered in large part because there was no independently organised alternative to the Social Democratic Party - Luxemburg had spent many years, before World War One, as a leading activist and theorist on the left of that party. Rowbotham also fails to acknowledge that Luxemburg, in her last two years, moved closer to Lenin's views on political organisation. It is as if her ideas were entirely static - she serves as a constant 'libertarian' antidote to the unspecified defects of a supposedly unchanging Leninist party model. There is in fact no single model of organisation for revolutionaries. Lenin never suggested there was - his Bolshevik Party evolved enormously in all aspects of organisation, adapting to changing circumstances. But it is nevertheless possible to derive some key points from the experiences of revolutionaries in the years leading up to and after 1917. An independent organisation needs a combination of principled commitment to revolutionary socialist ideas and tactical flexibility. While its political tradition may be a running thread, there will be twists and turns in precise forms of organisation, specific tactics, etc. Political and organisational independence doesn't mean isolation or elitism. It is complemented by active, constant involvement in larger organisations, e.g. trade unions, protest movements, and resistance. It is strange that Rowbotham fails to note the differing outcomes between Russia and Germany. She would find it extremely difficult to claim Luxemburg's caution about establishing revolutionary organisation was vindicated by the events of 1917/18 (or the following few years in Germany). The defeat of Germany's revolutionary movement paved the way for the rise of Nazism. She relies, in fact, on the erroneous assumption that Leninism led inexorably to Stalininsm, with the seeds of the latter in the (get ready to spit the word) 'centralised' party associated with Lenin. 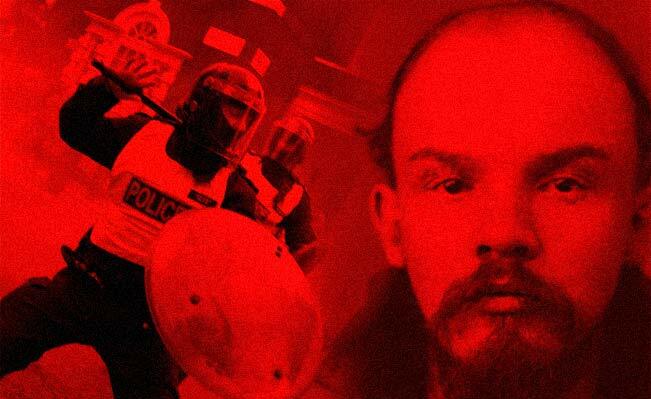 In fact Stalinism was a violent break with the tradition of Lenin and Trotsky; the bloated Soviet bureaucracy had nothing in common with the vibrant democratic centralism of the Bolsheviks. Where is the evidence that Luxemburg perceived Marxism as dogmatic? She rightly criticised overly dogmatic and inflexible versions of Marxism, but that makes her a serious and genuine Marxist - just like Lenin, Trotsky and indeed Marx himself - not a critic of Marxism. I can't help thinking Rowbotham is, a little too conveniently, rationalising her own move away from Marxism over 30 years ago. Marx had a deep understanding, further enriched in the 20th century by Lukacs and others, of the role of consciousness - how it is formed and how it can be transformed in the course of revolutionary action. One of Lenin's great contributions to Marxism was precisely his grasp of the kind of political organisation needed to help transform consciousness and achieve social change. Rowbotham's reference to the women's liberation movement is misguided too. Any 1970s feminist citing Luxemburg as the basis for 'consciousness raising', i.e. the then-fashionable retreat from mass political action into intellectual navel-gazing - would be doing her a great disservice. She had a superior understanding of the unity of theory and practice, of ideas and action. Today's revolutionaries can gain by learning from both Luxemburg and Lenin. We won't be helped by bizarre mis-readings of Rosa Luxemburg as someone defined by her supposed anti-Leninism and spurning of organisation. In Egypt, for example, the left now faces the huge challenge of building organisation capable of taking the revolution forward. Lenin and Luxemburg alike can be their guides. 'But what I find most disturbing is the frenzied attacks by those who reside in England and have absolutely no connection to the trial whatsoever. This hatred - for that is what it is - by members of nominally Trotskyist outfits closely resembles what you'd expect from a cult. When Scientologists are criticised, no one is surprised they intimidate and denounce opponents. That is, after all, what cults are all about. But for socialists to ape this behaviour? It speaks volumes of the fundamentally unhealthy organisational practices of self-described Leninist groups. Democratic centralism - a principle of organisation Lenin thought appropriate to mass parties, not tiny groups of a couple of thousand - tends not to be exercised around action, but rather is a principle for regulating the boundaries of permissible thought. Freedom of discussion becomes circumscribed discussion. Unity in action is, in practice, unity behind the positions formulated by the opaque and unaccountable executive/central committee. This is no recipe for generating critically minded working class politicians and Marxist cadre. But it does create a small following happy to swallow it all and regurgitate it when occasion demands. Such as when one of their key allies gets in a spot of bother with the law. 'Whatever people may make of Sheridan and his behaviour, it is wrong and regrettable that he's been jailed. Perjury, like many non-violent offences, isn't one that should lead to even a brief imprisonment, never mind 3 years. While I sympathise with much of what you write - including your balanced criticism of actions by people on both sides of the dispute on the Scottish far left - I don't think this is a symptom of something rotten about Leninist organisations. It can reasonably be argued there are severe problems with much of the actually existing far left in the UK as a whole, but that shouldn't be generalised into blaming democratic centralism or Leninism. One of the issues here is that the far left remains small and weak. There's a tendency to convince ourselves we're not, but that's the way it is. There's a number of good reasons for it - and its an international phenomenon - but it causes difficulties. Isolation can breed in-fighting, a lack of perspective on reality, etc. Defeats and weakness breed recriminations, blame, demoralisation etc. In many ways the various current or recent problems - from the SSP and Respect splits to the spat inside NSSN - are symptomatic of a far left that is weak, small, isolated and which has struggled to make breakthroughs. They are also mostly influenced by political and strategic misjudgements. Just as it is also possible to make good judgements. But they aren't somehow inherent in a particular form of organisation or strand of politics. You will always be able to find counter-examples and exceptions, and remember that the SSP was for a period successful (how is that explained if you adopt a universalising view like that above?). Also, the different sections of the far left don't all subscribe to a single model of organisation anyway, making generalisations impossible. The SSP was never a classic Leninist organisation - it was an alliance of existing groups combined with some independents, in which one group (the former Militant) was dominant for a long while. Respect was a different kind of formation again. Even within one Leninist organisation there are sometimes radical changes over time - the SWP of recent years is hugely different from the IS (its forerunner) of the 1960s. As for 'cult of leadership' theories... I always treat these with great distrust. Even where there's some truth in this being relevant, it is only one factor among many (and you still need to explain what's given rise to that tendency - it is definitely not innate). Yes, it is to some extent relevant in Sheridan's case, but an explanation is needed of WHY that's happened (and also of why there's been such vitriolic denunciation of him by his former allies). But this really isn't some major recurring theme. Healy - yes, obviously. Galloway - to some extent there was a problem, during the Respect crisis, of many people being too uncritical of him. Beyond that I'm struggling for examples. Genuinely democratic centralist organisations are profoundly democratic, with high levels of participation and active membership. In this they are distinct from Labour and other social-democratic parties, which are more passive and tend to have a hollowed out democracy, with leaders treating members as a mere 'stage army'. When things go wrong it is because of particular problems of politics or orientation. As someone formerly expelled by a Leninist party, I might be expected to share some people's indignation at 'democratic centralism'. But I don't. I was always clear about 2 things in my own case: 1. the political problems came first, and the degeneration in internal culture came after, 2. the recourse to vilification, disciplinary procedures etc was a symptom of deviating from authentic democratic centralism, rather than an expression of it. Read the rest of my brief introduction to Trotsky (plus an excellent chapter, on the insurrection of October 1917, from his 'Lessons of October') HERE. 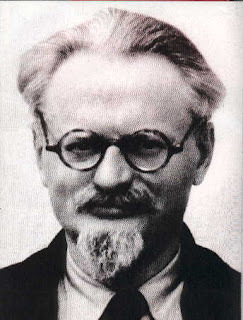 On the 70th anniversary of the death of Leon Trotsky, a leading figure in the 1917 Russian revolution, Alex Snowdon introduces a key chapter from the radical book "The Lessons of October". Video from this month's Counterforum which examined the role of two leading Marxist revolutionaries. Mutiny's. This is now more than a coincidence or glitch. Well, now the lack of stuff on this blog is explained...we have all been busy beavering away behind the scenes with a brand new project. More details on how to get involved on the front page-sign up for our weekly bulletin which will provide details of how to register for the sight, how to send in articles, videos, photo's etc. We look forward to working with you in this brand new way. I shamelessly copied the blurb from our news editor's blog The Sauce because, in true internet fashion, we operate on a creative commons licence :-) Thanks Brendan! The website is being launched on International Women's Day with a 60 strong team including an investigations team, an industrial unit, arts reviews and peer reviewed publications. The site is available at counterfire.org with news being fed through twitter at www.twitter.com/counterfire with a video feed at youtube.com/counterfire. Articles on the site can be reproduced with permission and attribution.